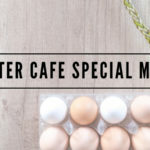 Home Apple Tree Care & Spray Guide for Beginners - Tuttle Orchards Inc: Indianapolis Apple Orchard, Pumpkin Patch and Farm Store. YEAR 1: Plant a tree. Spring. It’s important to get this right so you will have success down the road. These are things to consider when planting a tree. Plant a variety that is LOW MAINTENANCE. This is the most important thing you can do. We recommend the scab free varieties like Crimson Crisp, Enterprise, or Gold Rush. Other options are: Liberty, Jonafree. These apples are resistant to a major apple disease…apple scab…and that will make your life a lot easier down the road. 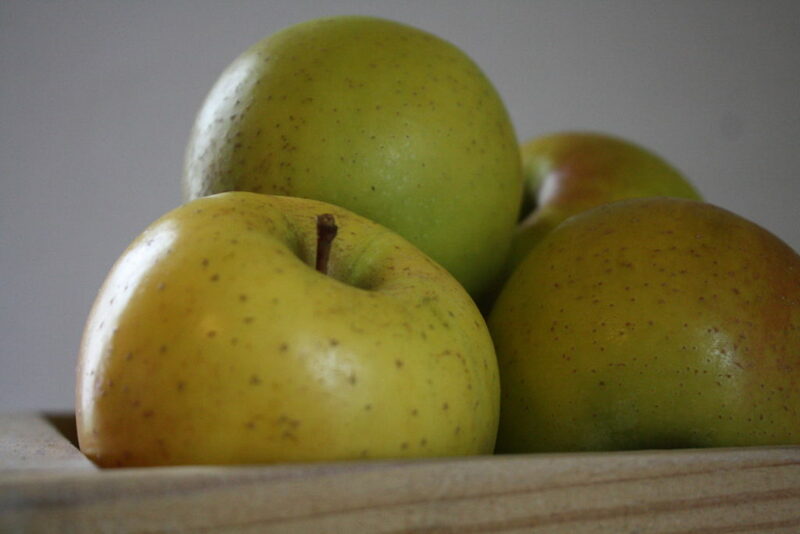 Other varieties are especially hard to care for and should be avoided by beginners are: Gala, Jonathan, Honeycrisp, Golden Delicious. Buying from an actual fruit tree nursery (somewhere online like Starks Brothers) CAN be better (depending on the source) then buying a tree you find at a retail store. These trees will come to you bare root. If you buy from a retail store, look for a healthy, semi-dwarf tree, and a variety that is low maintenance. Buy a semi-dwarf tree – different apple tree root stocks become different size trees. Smaller tree will be better and easier to care for. A bare root tree is OK.
Plant your tree in the spring not in the peak of summer when it is very hot. It’s also important to be sure your tree is watered in the beginning, and to protect it from deer if that’s a concern in your area. You need more than one tree – at least two apple trees…three is better…or you will not have cross pollination and therefore no apples. Crab apples will pollinate apple trees too. Here is a chart to show when they would pollinate. When planting your tree, do not plant the grafting union belong the soil. See photo. 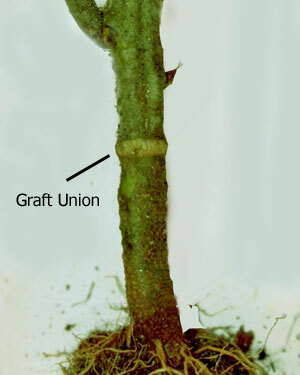 If you plant the grafting union too deep, you will have a really big tree…bigger then you want. It is important to stake your tree and make sure the main center branch is growing straight up. This is all you need to do in year 1 for your fruit tree. You should not expect to get any apples until year 3. The other thing we advise you to do is to attend the fruit tree pruning class at Tuttles your first year or the spring of the second year. Attending this will give you an idea of what type of care you will need to do for your trees in the coming years. YEAR 2: Thin your tree. Thin your tree year 2 and every year after in early June. When the apples are smaller then a Quarter in size, you will want to THIN the apple tree. This means pulling off most of the baby apples so that the apples that do develop are a nice size. The tree will always produce more apples then it needs. You will leave one apple per every six inches of branch. Another way to do this is every time you have a cluster of two or three or more baby apples together take all but one apple off. This will seem drastic, but too many apples on the tree is 1) hard on the tree 2) you will get pee wee apples 3) it will prevent you from having a good apple crop next year. This must be done before the apples are the size of a quarter. You may not have any apples on your tree in year 2. You may be able to wait until year 3 to start thinning your tree if you have no apples. 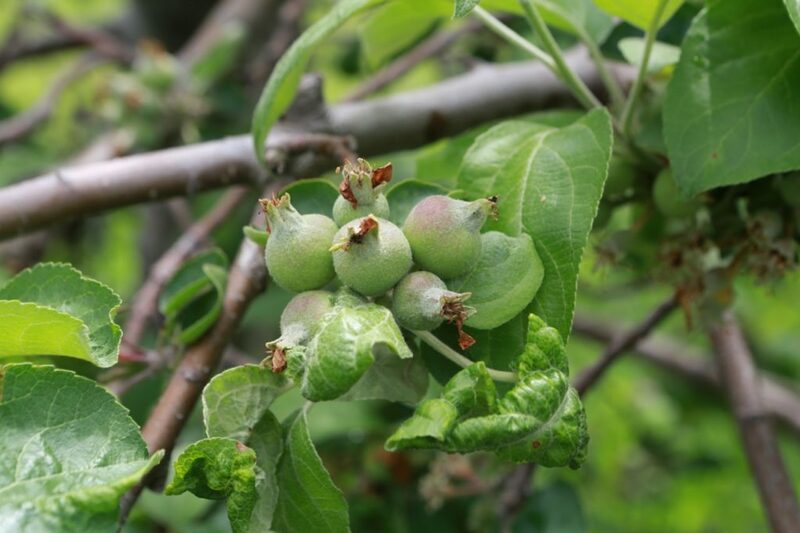 Photo of apples at the right stage for thinning. YEAR 3: Begin spraying your trees. You will start doing this year 3-20+ of your tree. Below is a very basic “spray guide” for apple trees. This is not meant to be an extensive guide to deal with every pest…Purdue has some great resources for this…this is meant to give you a very basic overview of spraying. SPRAY #1: At half inch green bud stage to tight cluster (that means you can’t see any pink yet but you see some green) …click here for great photos of the different stages of buds, typically this is in early April but it varies by the year. You want to use a dormant oil spray. This will protect your tree from aphids and other pesky bugs. This is an important spray…you should not skip this one. this is a photo of the stage when it’s good to spray your dormant fruit tree stage. You can find Dormant Oil Spray online, at a hardware store, or at a farm supply store. It is called Dormant Oil. The brand is not important, but you want to be sure it is something that is labeled for fruit tree use. This is an example. You will put one application of the spray. Be sure to follow and read ALL the instructions on the label. 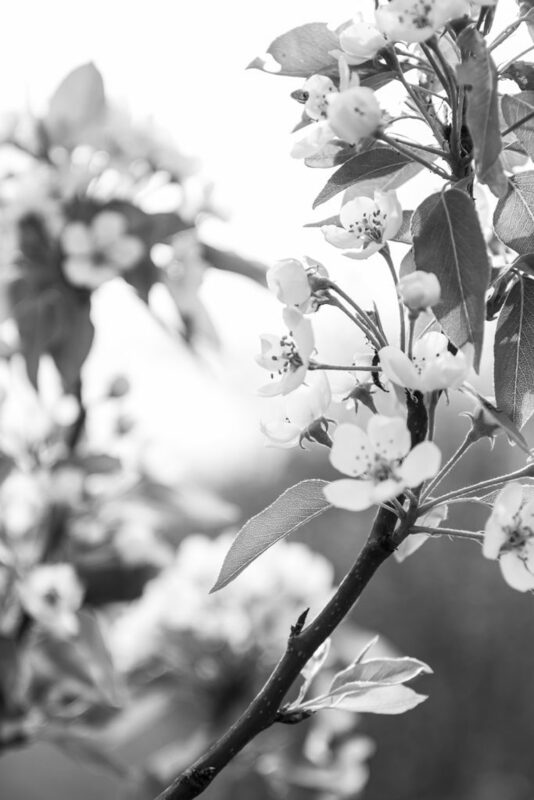 SPRAY #2: After bloom (when most of the petals have fallen off the tree and the apples are the size of a pea) you will want to spray your trees with a home fruit tree spray. This is different then the fruit tree oil. 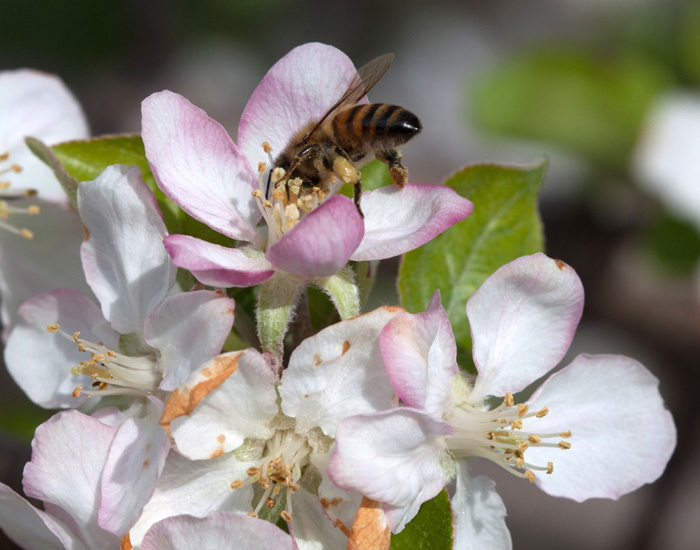 This spray will include both an insecticide (to deal with plum cuquillio, ornamental fruit moth, coddling moth…and make sure you have worm free apples) and a fungicide (that will deal with things like apple scab, powdery mildew, summer rots, etc). Here is an example of a home fruit tree spray. This spray at petal fall is the most important one of the year. It will do the most for keeping pests under control and making sure you have an edible apple crop. SPRAY #3: Two weeks after Spray #2, you will spray the same Home Fruit Tree Spray again (the spray not the oil). This every two week regiment will prevent bugs from getting into your apples as they grow. SPRAY #4: repeat spray #3 two weeks after spray #4. 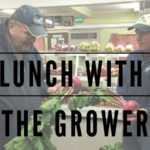 OPTIONAL: if you are concerned about summer rot, you can spray additional times through the summer but this is often unnecessary for most varieties (except Gala, Honeycrisp, Golden Delicious). 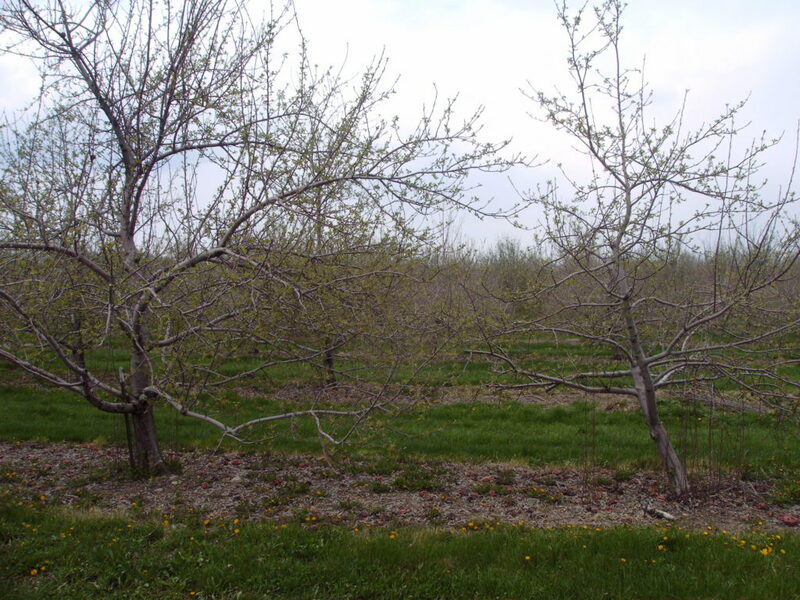 If you have specific pests you are dealing with, consult Purdue’s Fruit Tree Spray Guide. YEAR 3: Picking your apples. PICKING YOUR APPLES: you can begin to pick apples off your tree the third year. If you get apples before in year 1 or 2, it’s a bonus. Just be sure you are THINNING THE tree in year 1 and 2 – or you will not allow the tree enough time to grow. YEAR 3: Start Pruning your trees. Come to the pruning workshop at Tuttles to learn more about pruning your trees. Starks’ Brothers Fruit Tree Care Guide.